Check out the rest of our animal umbrellas! Welcome to our distinctive new cat handle umbrella, a novelty umbrella that makes a great gift for cat lovers everywhere. 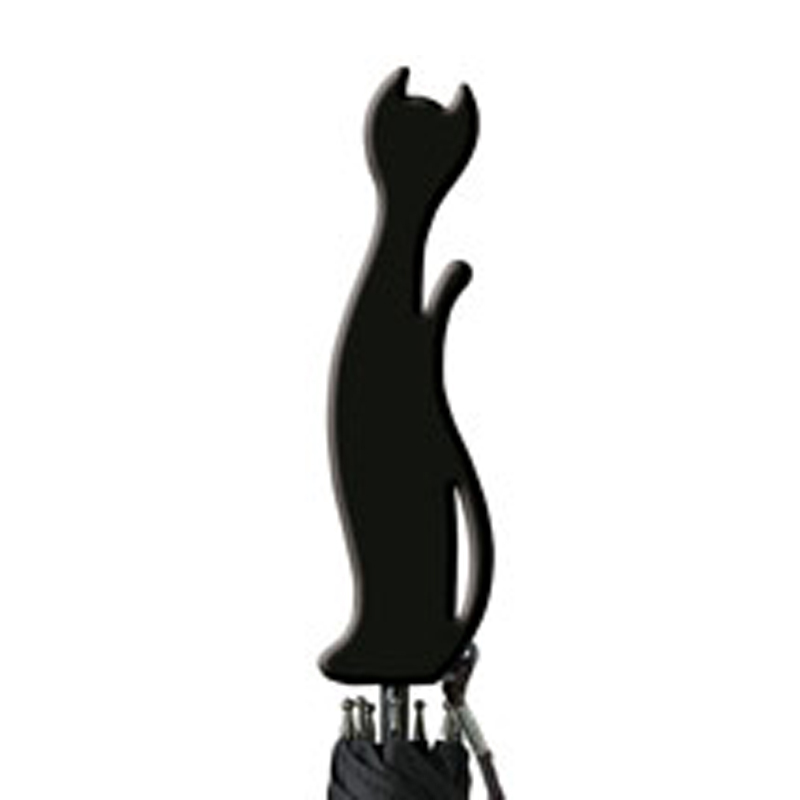 This Black Cat Silhouette Handle Umbrella is a fully automatic stick umbrella with a 3D ABS plastic moulded handle in the shape of a cat. It features a black canopy, black steel shaft, carry strap and fibreglass ribs. 88 cm / 34.5″ Long, 102 cm / 40″ in diameter. 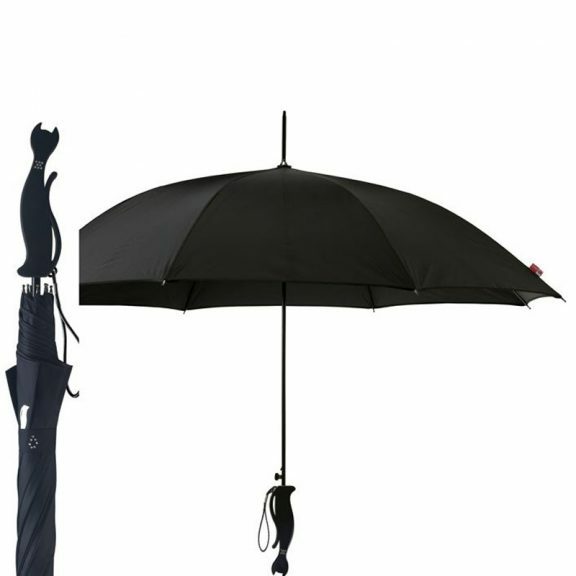 Buy this lucky black cat silhouette umbrella for someone you know and watch them smile.